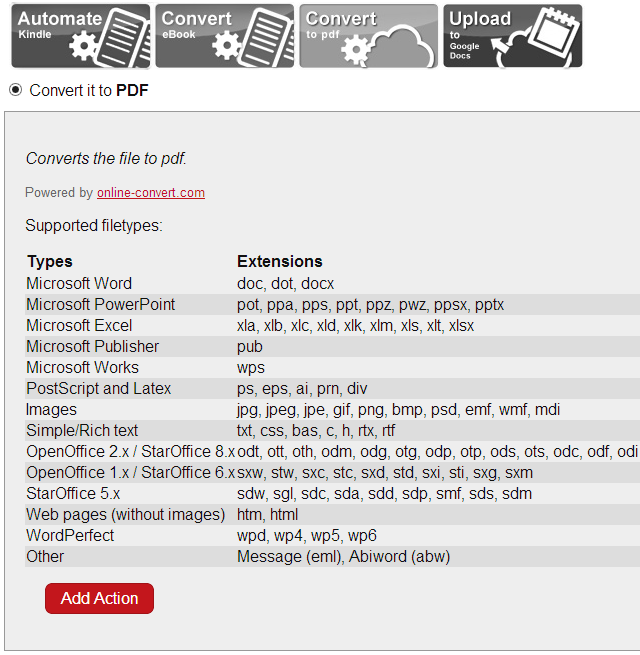 I have already shared different PDF converters to change the format of other document types including doc, docx, xlsx, ppt, html etc. to PDF. But most of these are browser-based where you need to upload and wait for the conversion. If you are using a Smartphone or smaller devices, it may be difficult to upload and convert these documents. Here is how you can easily get the converted document by just sending an email with attachment as the document that you want in PDF format. Trust me, you just have to send an email. The one-time setup involves installation and registration to couple of services, once this one-time setup is done, you need to only send email with attachment as the document that needed conversion in PDF. You need Dropbox application installed on your mobile device or tablet (whatever you are using). For those who are new to Dropbox, it is a cloud storage platform where you get around 2GB of storage for free. Installing and using Dropbox is very easy and handy. In this tutorial, we are using Dropbox as a storage platform, but we need an automated system to convert the document into a PDF. There is a very cool platform named ‘Wappwolf‘ which does lot many automated processes on files stored in Dropbox folder. You need to provide access of a specific Dropbox folder to Wappwolf and choose the action that you want for files stored in that folder. Wappwolf can do lot many automated processes including upload to Google Drive, Send the PDF to Kindle, Upload to Facebook, Stamp/Watermark/Write text on Photos, Convert Audio format, zip/unzip files, FTP files on server, Upload to SkyDrive and much more. Here you need to select ‘Convert it to PDF’. Now whenever you will upload a document say a MS Word Doc to that particular Dropbox folder, the doc will convert into a PDF and will appear in the sub-folder inside that folder. As in the title of this post, I mentioned that you just need to send an email rather than uploading the same to Dropbox, here is what else you need to do for one time setup. There is an awesome trigger service named IFTTT, which creates different triggers and based actions. In IFTTT, you need to create a recipe (a combination of trigger and action). While creating the recipe, you need to choose Email for the trigger. Choose ‘Send IFTTT any email’ to trigger the process. Now whenever you will send an email from the IFTTT registered email ID to ‘[email protected]‘, the action will be performed. After creating the ‘trigger’, you need to set the ‘action’. In the action window, select ‘Dropbox’. IFTTT will ask for the permission for Dropbox connection and folder access. Locate the same folder that you created for Wappwolf processes. Now whenever you will send an email from registered email ID to [email protected] with document as attachment, the attachment will upload to the Dropbox folder. Once the Dropbox folder received the files, Wappwolf will process the PDF conversion and save the final converted PDF file in processed sub-folder. Similarly you can set a folder to perform other tasks like send to Kindle, Apply Photo Effects including Watermark, Remove EXIF information from Pictures, Encrypt and Decrypt files etc.